Finally! 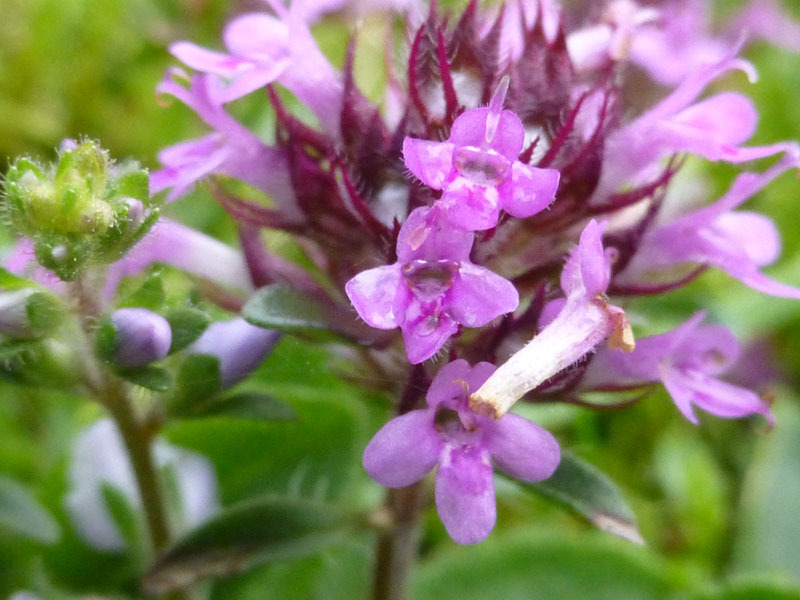 A Saturday with a (late) forecast of fine weather. 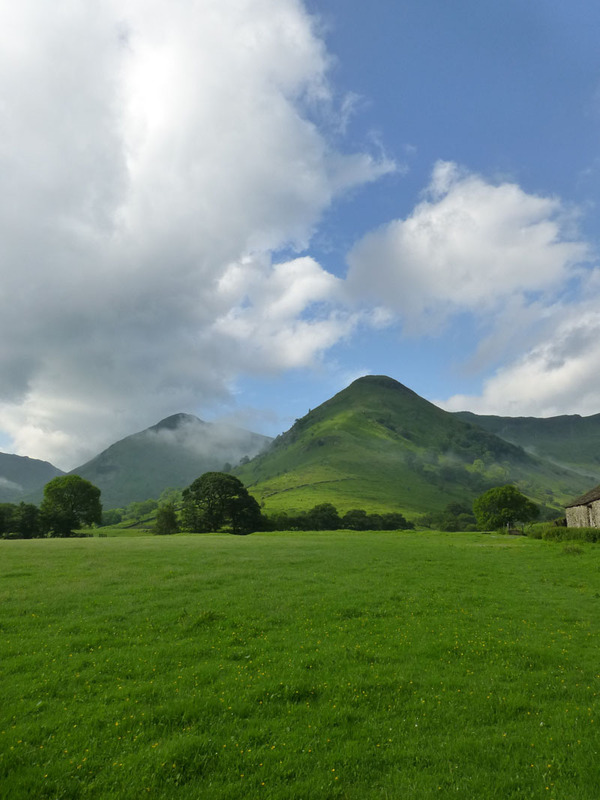 Recent deluges seem to have fallen somewhat awkwardly for weekend walkers. 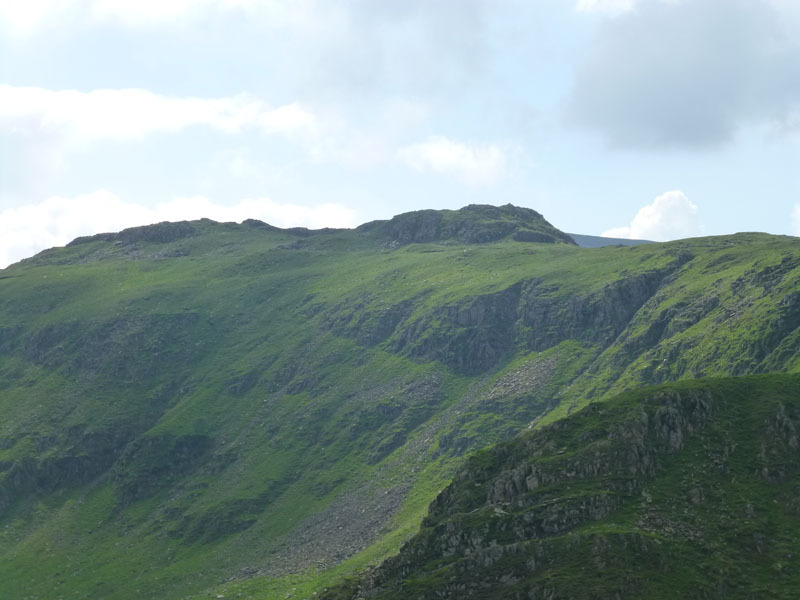 Dove Crag was the first fell that Wainwright converted into a work of art and literature. 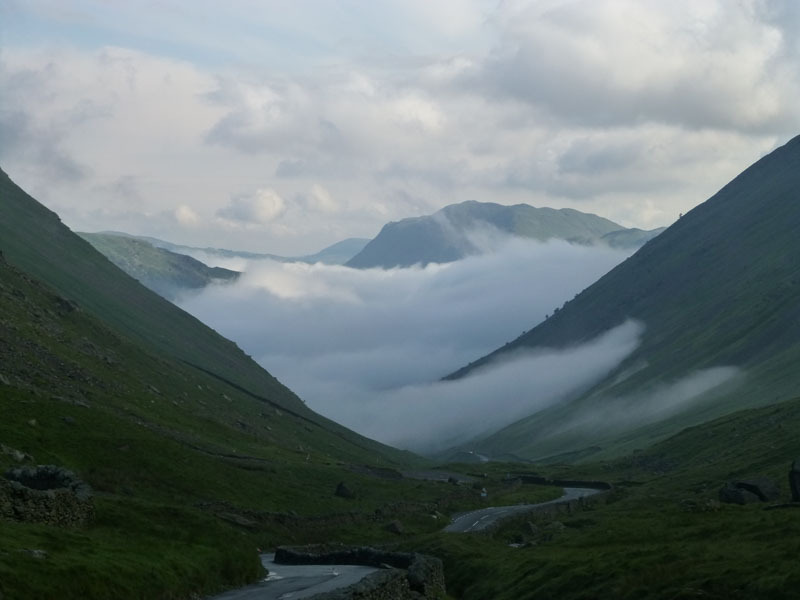 Driving down Kirkstone Pass. 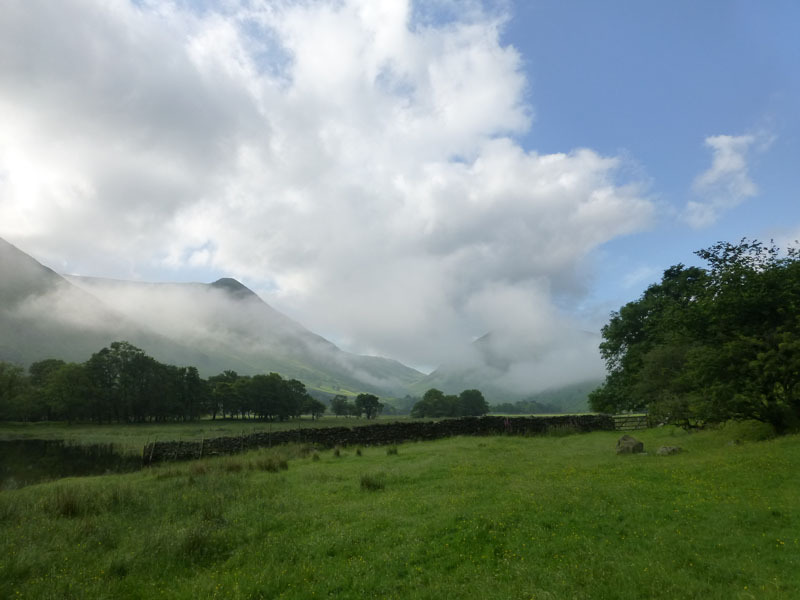 Patterdale, Brotherswater and the rest are shrouded in mist. 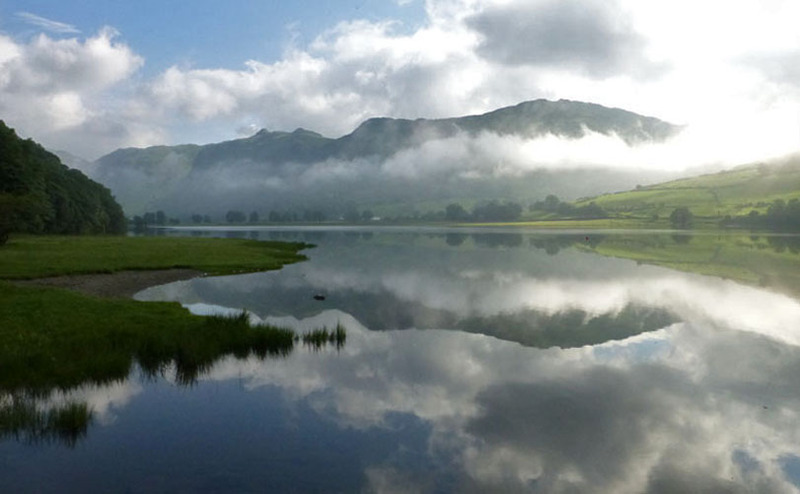 As the sun gets to work, the mist begins to rise and it all makes for fascinating viewing. 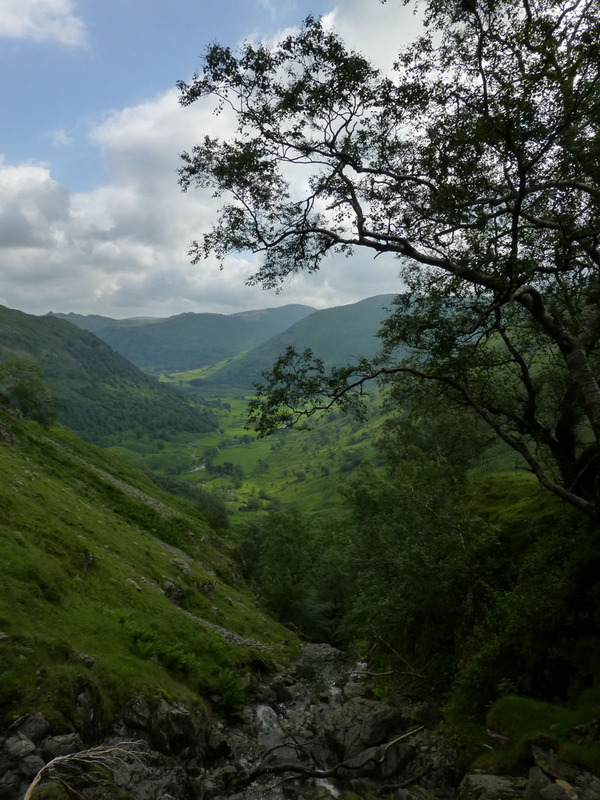 I parked at Cow Bridge, Brotherswater and started walking at 08:20hrs. 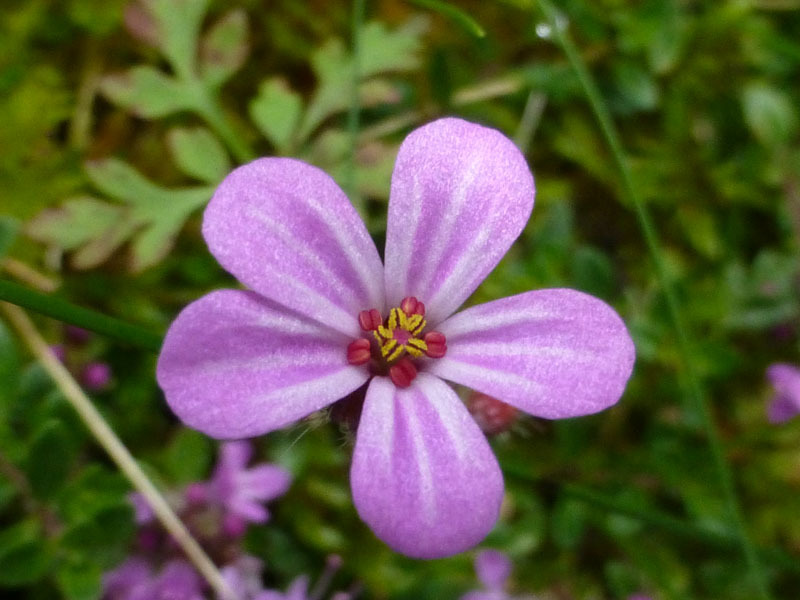 The decision to walk was made very late on Friday night after studying many weather forecasts and trying to judge what they all really meant. It seemed likely that the day would start bright and so it did. 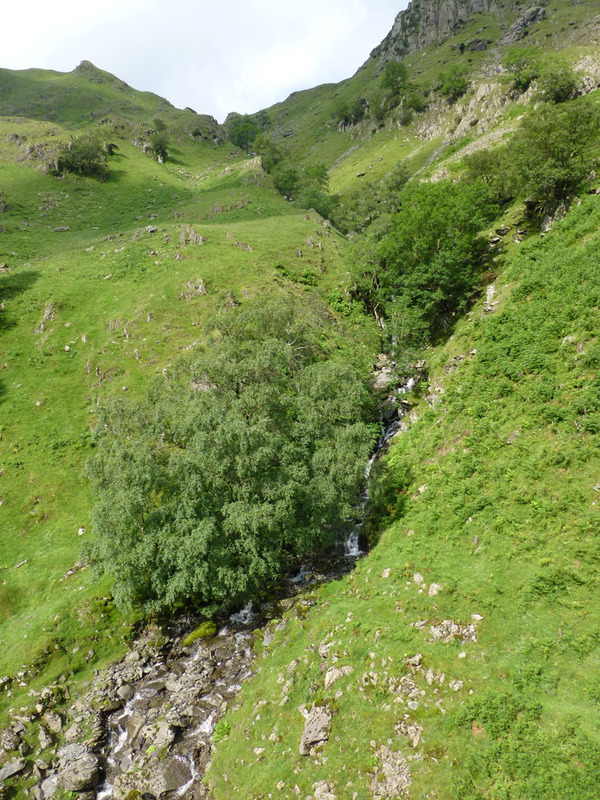 I intended to walk up Dovedale and up through or close to Hunsett Cove, but then I spotted an alternative. 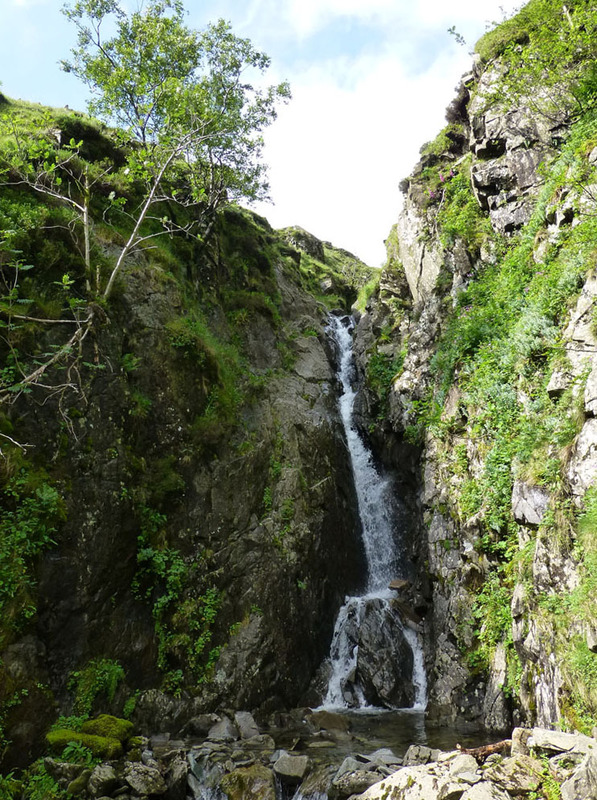 The cascade is named is Hogget Gill; without glasses, I was sure it said Hogger Gill on the map. Maggie (comment below) caused me to get out my new specs and a magnifying glass and we'll go with Hogget. 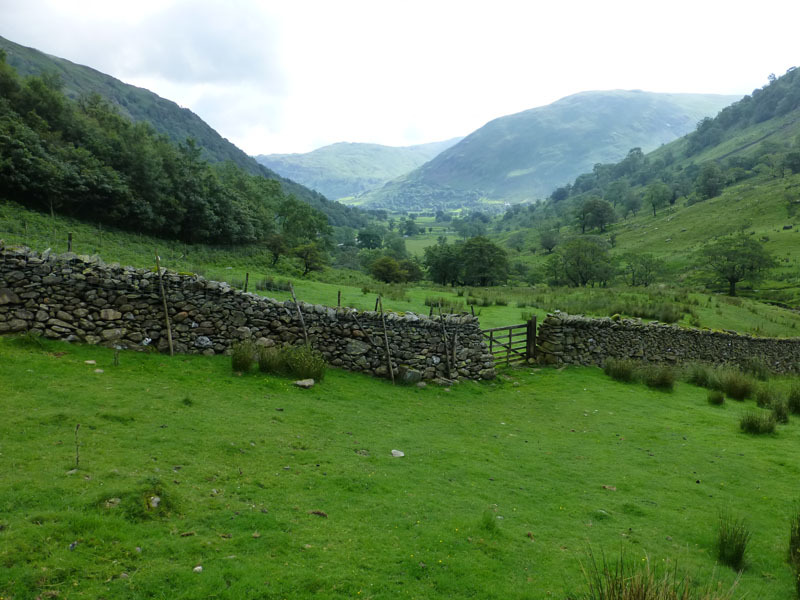 Access to the fellside is through a farmer's gate. 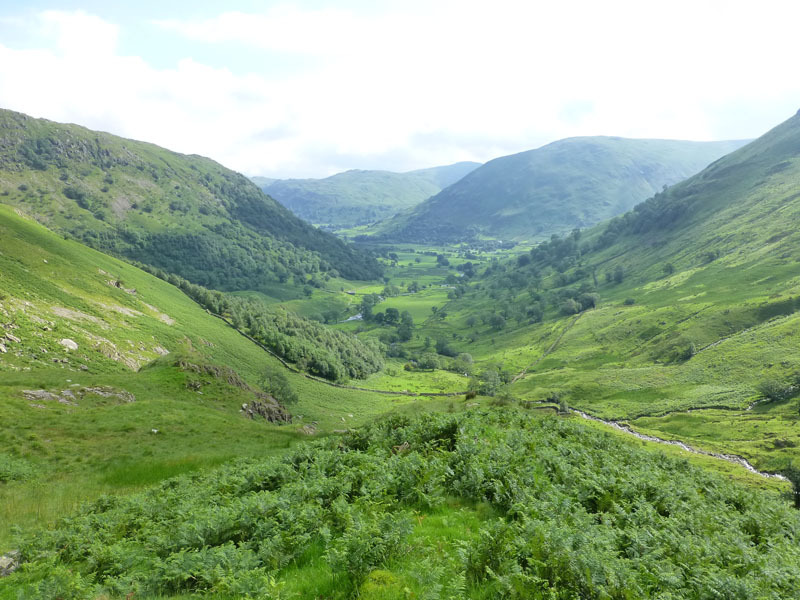 The mist has lifted and lead to hazy views and decreasing sunshine. 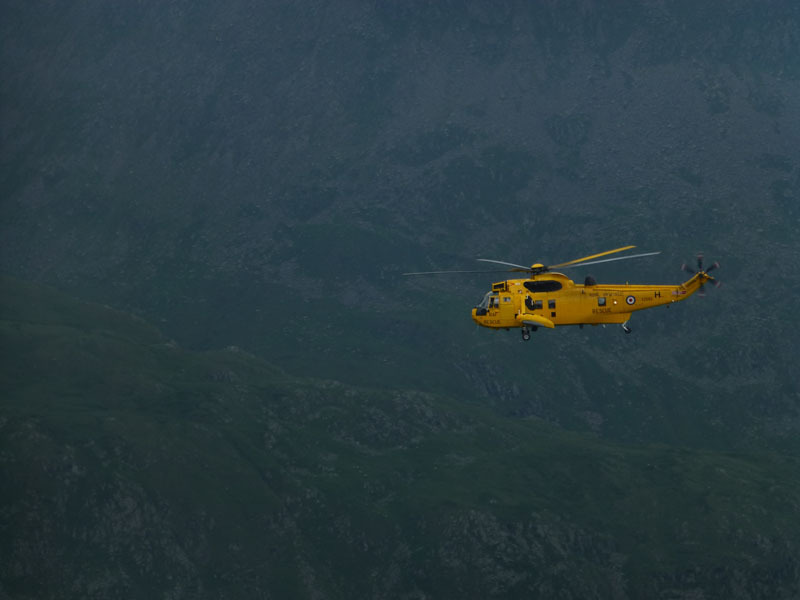 I chose to stay on the right side (north) of the gill and quite often had to divert above the cascades to avoid danger! 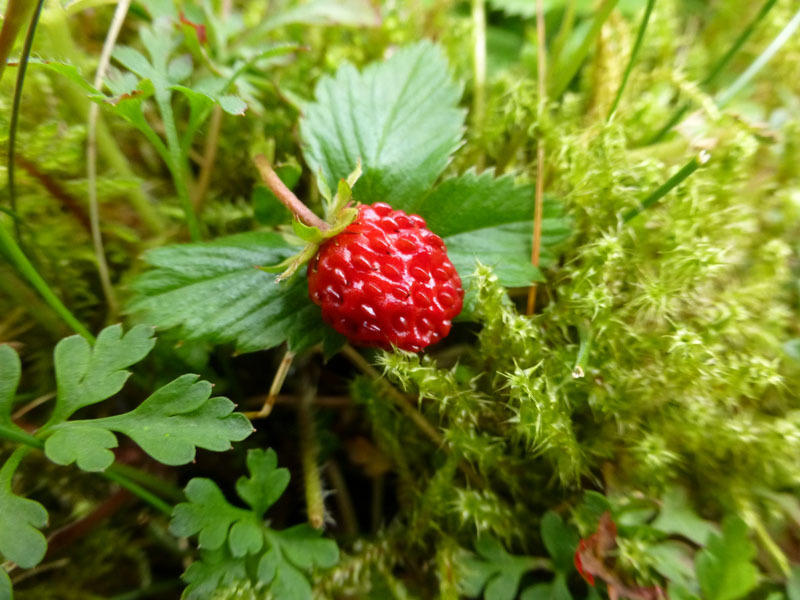 All very small, the last one is a wild strawberry, the other two await advice from experts. 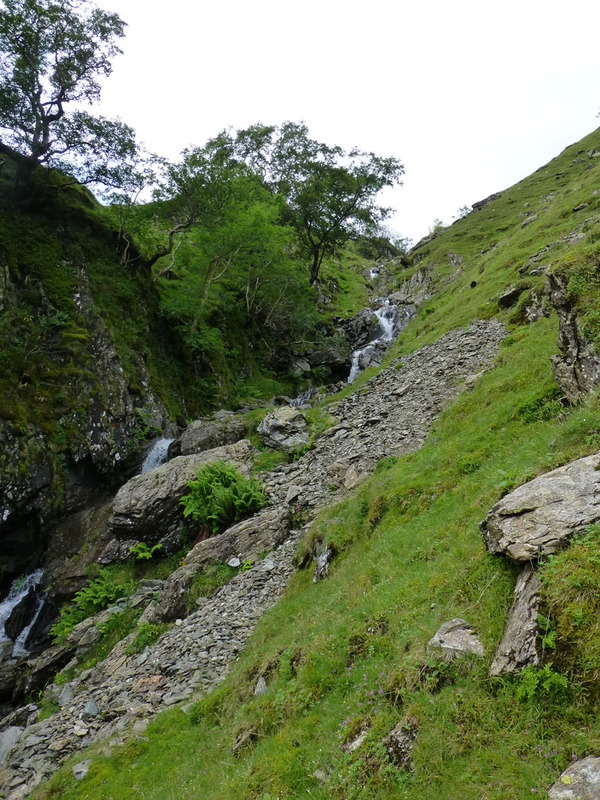 There is no footpath close to Hogget Gill, it's an explorer's route. 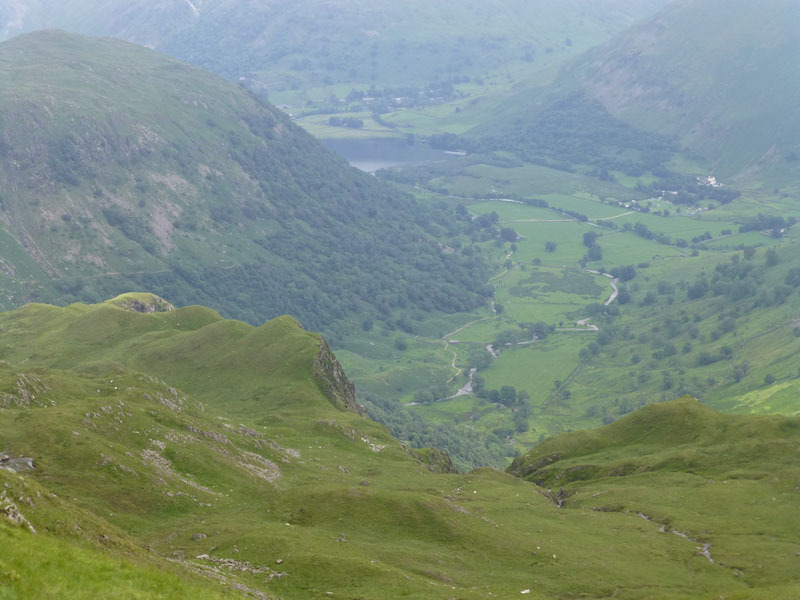 Part of the appeal of solitary fellwalking! 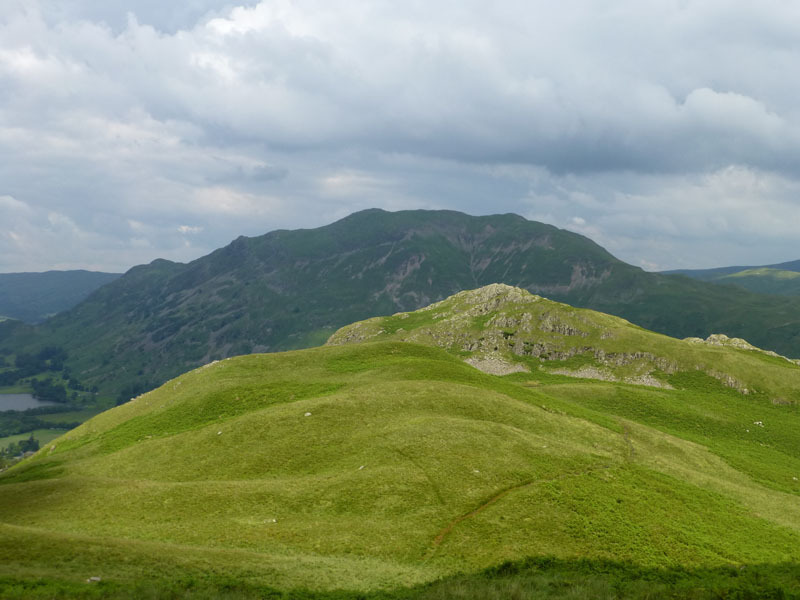 I went to the top of Stand Crags for the views; Dove Crags are just that - the fell and summit carry the same name; Little Hart Crag is another "Wainwright" to the south-east of my position and the infant Hogget Gill stream is audible underground beneath scattered boulders. 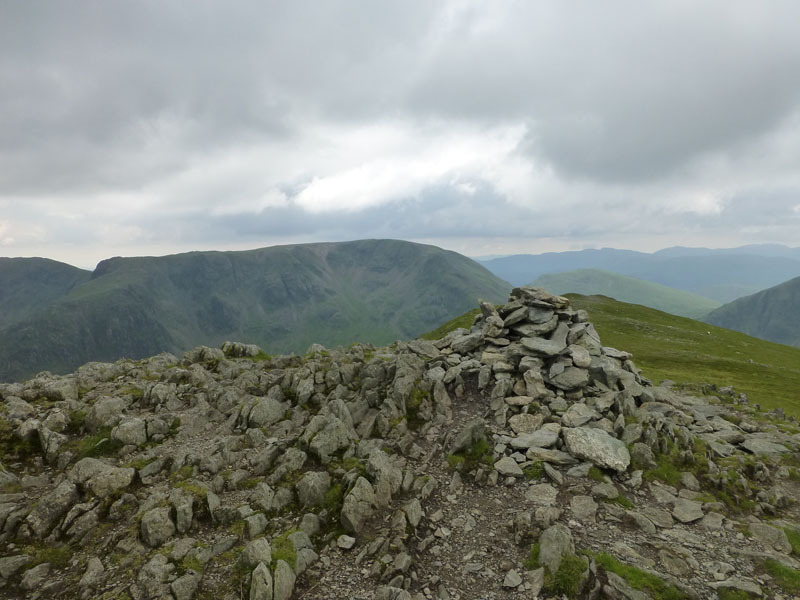 It's a great pity that many list-tickers will claim Dove Crag whilst walking the Fairfield Horseshoe and as such, do so without any extra effort as it's on the route. 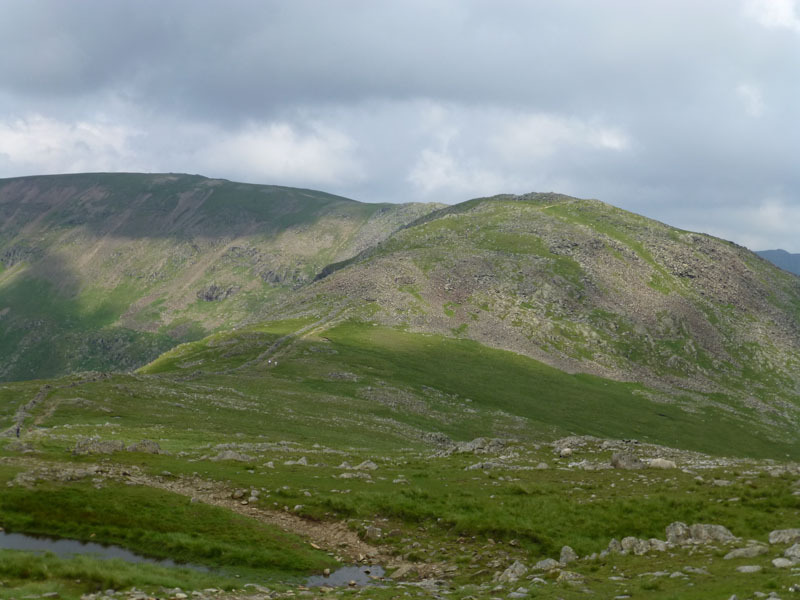 My walk heads off to Hart Crag and the Fairfield, further away to the left on this photograph. 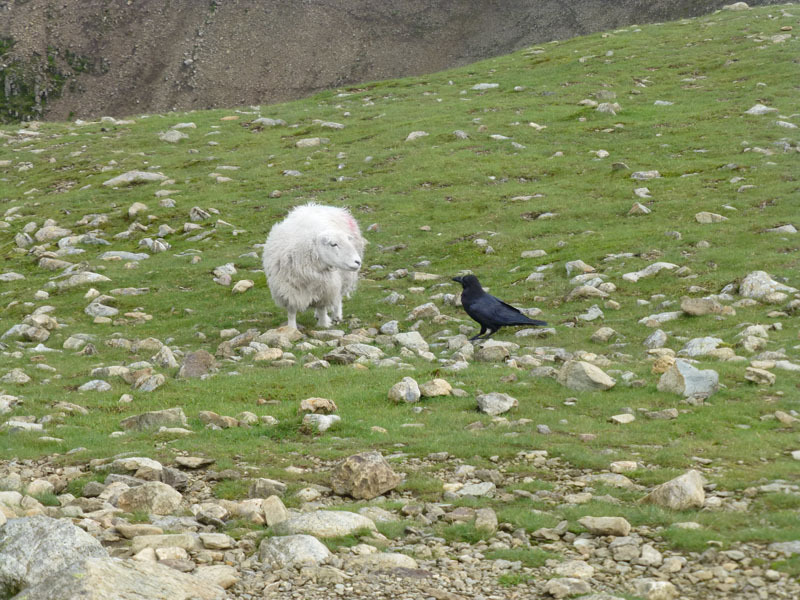 The sheep and the raven seemed to have an issue, but just what was troubling them was unclear. The man over there was covering all the bases. 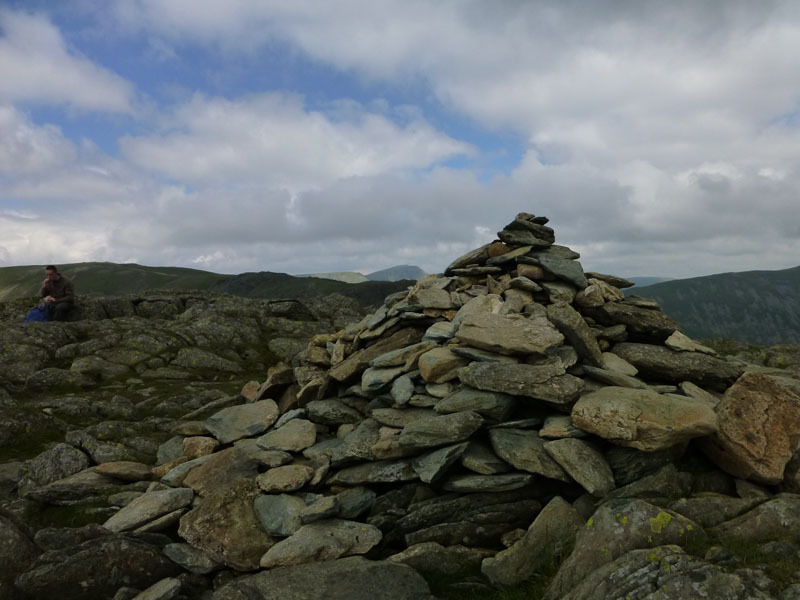 Fairfield has a wide flat summit with many cairns, none of which are built to signify "summitdom". 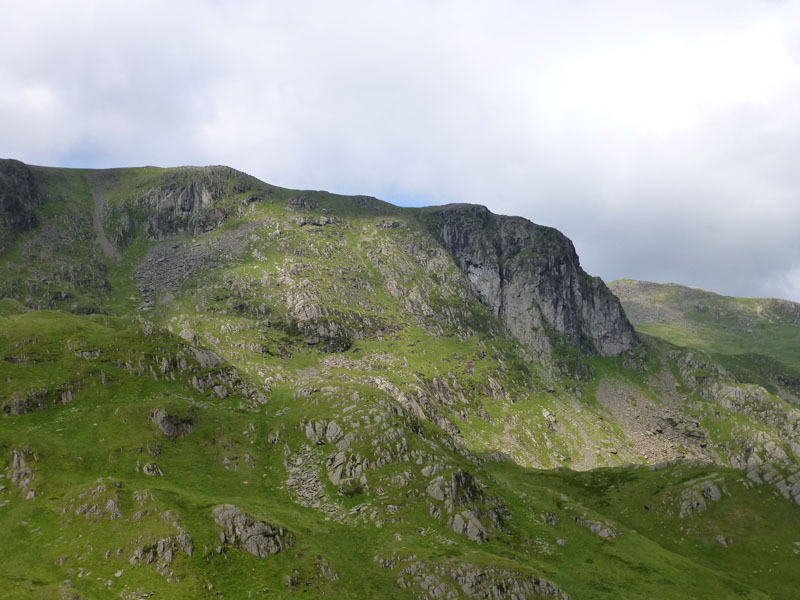 This felltop is one of the most frequented in Lakeland, I've been here at least ten times and always enjoy the walk that brings me here. 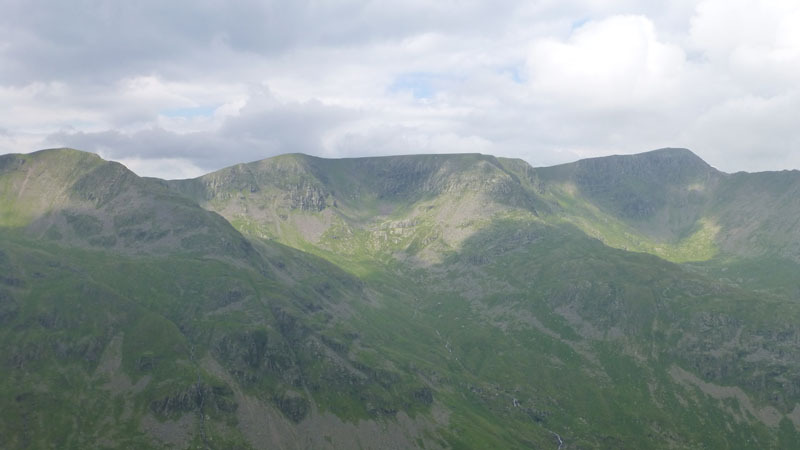 You usually get a great view of the Helvellyn range and St.Sunday Crag. Not the best day for this view. 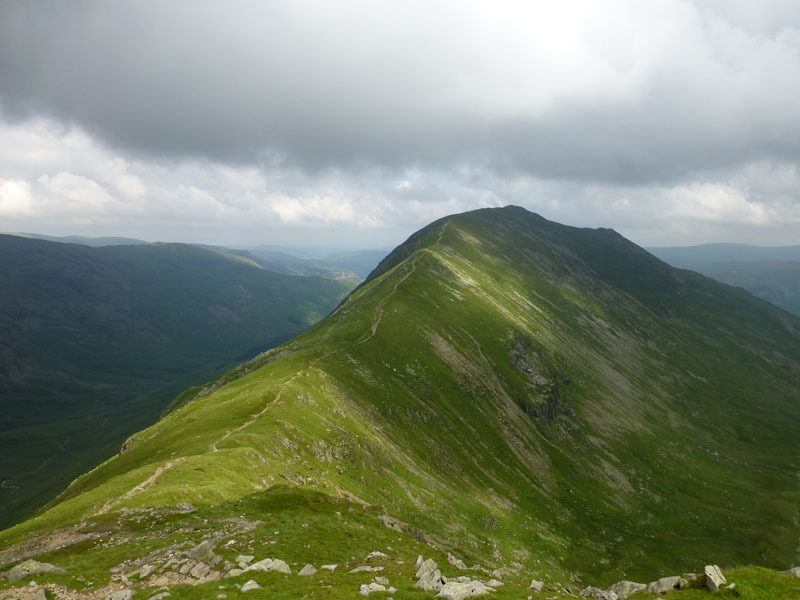 Cofa Pike in the foreground. 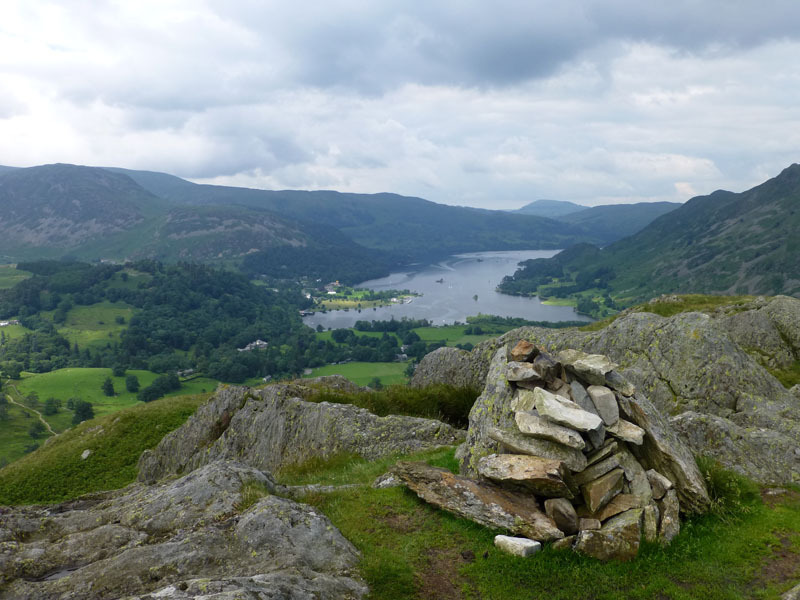 I chose to start the return journey with a walk over St.Sunday Crag. 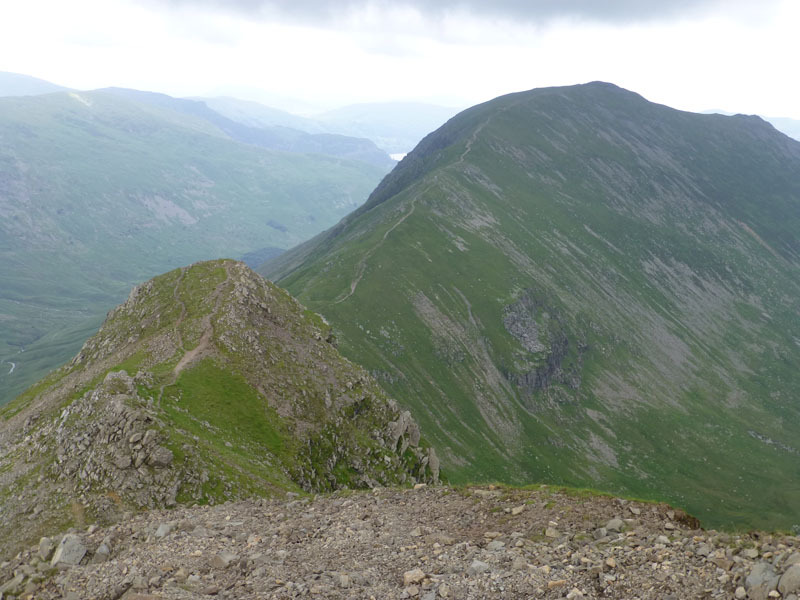 From here I walked to Gavel Pike and then off to Birks. 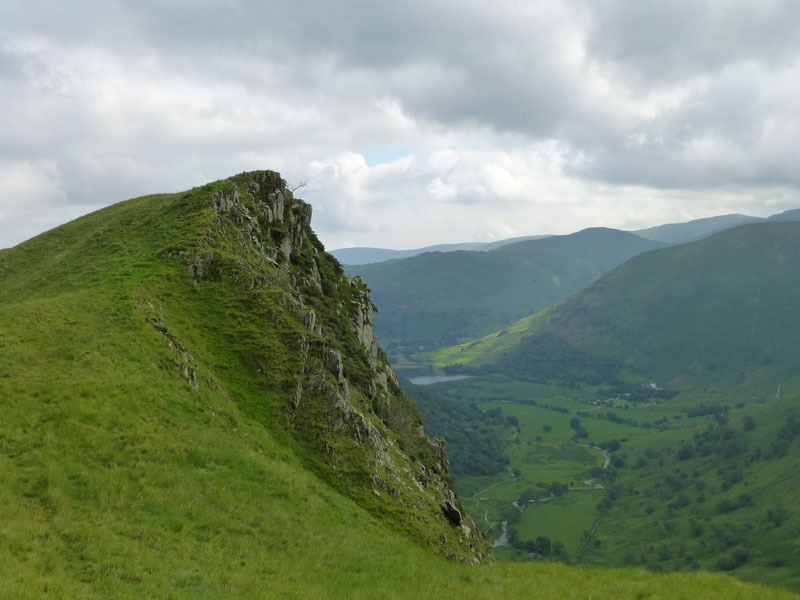 With a view back to St.Sunday Crag. 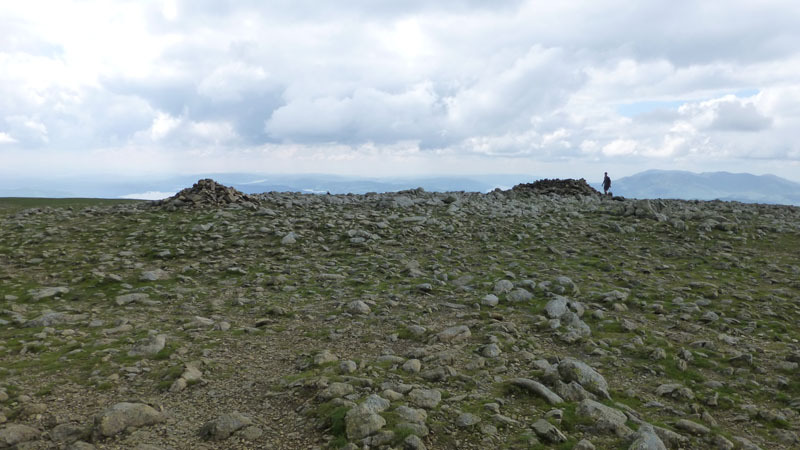 You're not likely to find a host of sandwich eaters at Birks Summit, it's just not that kind of fell. 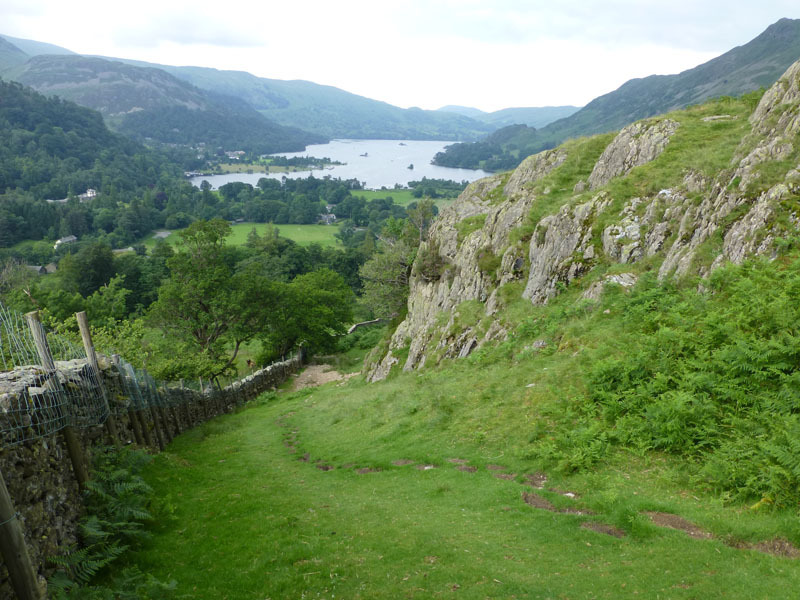 Next up, Arnison Crag. 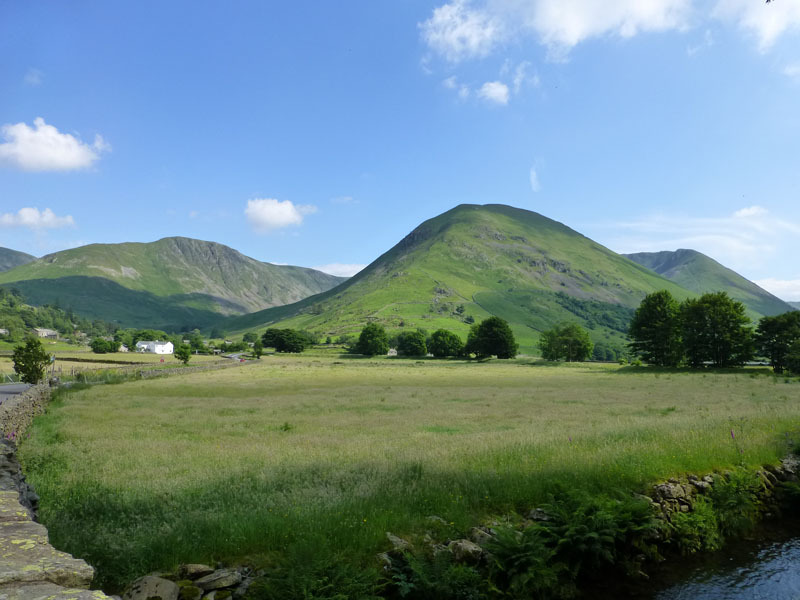 Place Fell is further away. 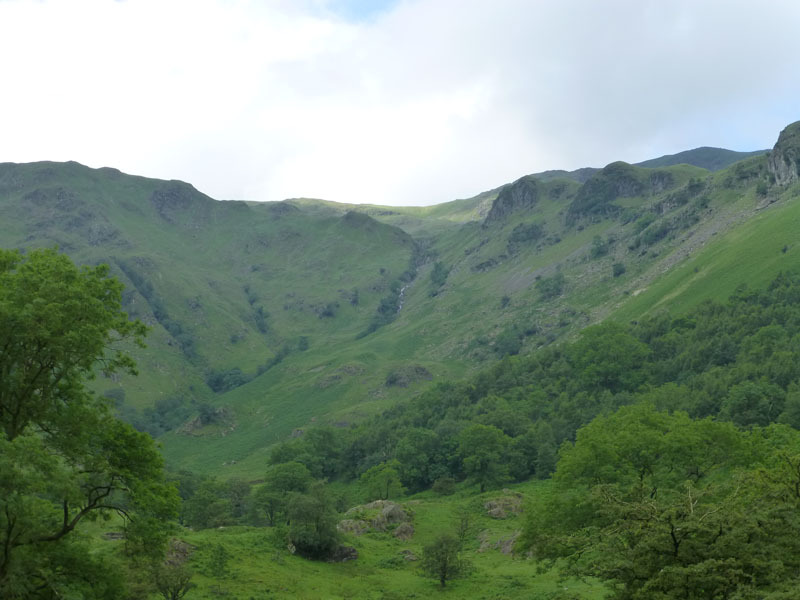 There doesn't appear to be a route off the east side of Arnison Crag, so it was best to follow the only footpath and head for Patterdale. 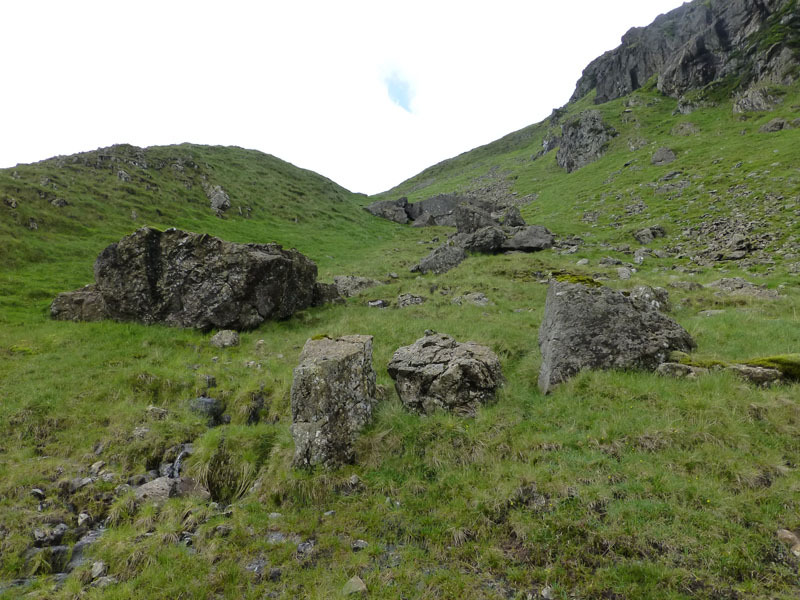 The walk back to the car was mainly roadside, finishing with a bit of permissive footpath to avoid the last bit of tarmac where there is no footway. 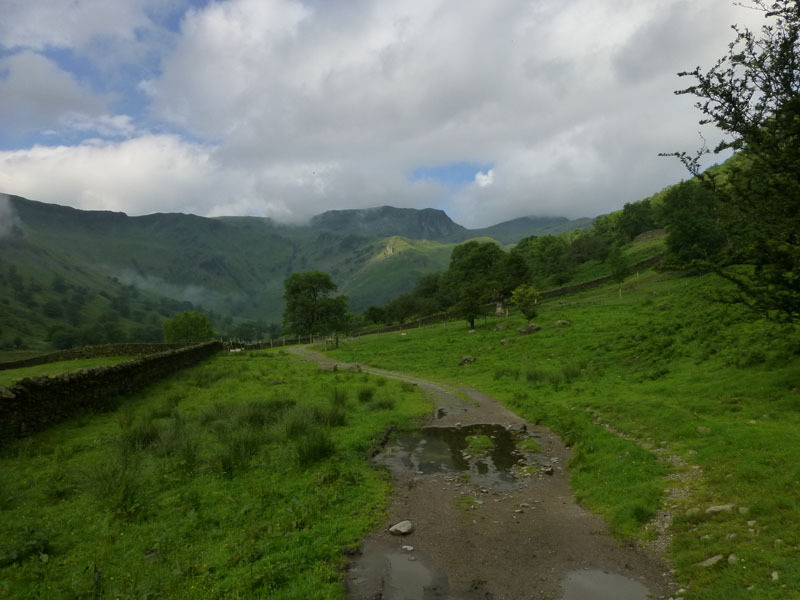 Route: Cow Bridge, Brotherswater, Dovedale, Hogget Gill, Dove Crag, Hart Crag, Fairfield, Cofa Pike, St.Sunday Crag, Gavel Pike, Birks, Arnison Crag, Patterdale Village, roadway back to Cow Bridge. 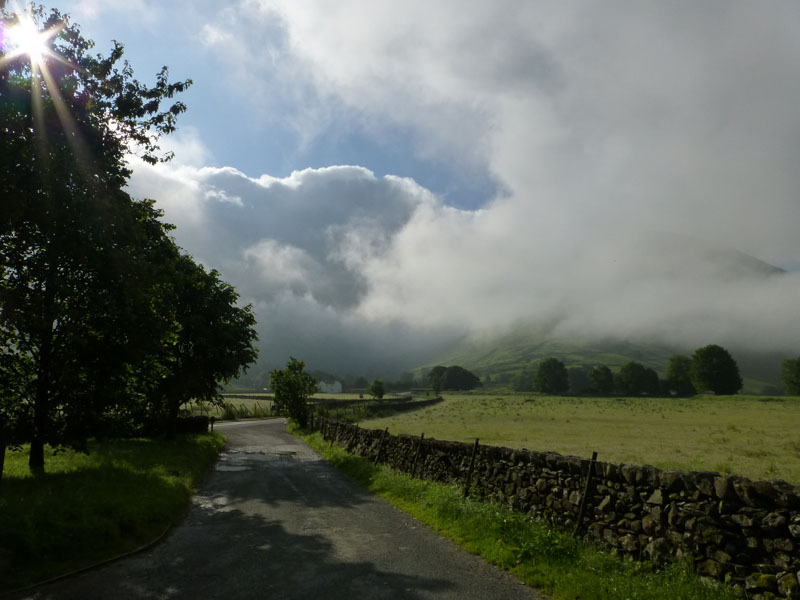 Weather and Conditions: Sunny start, clouding over brightening again towards the end. 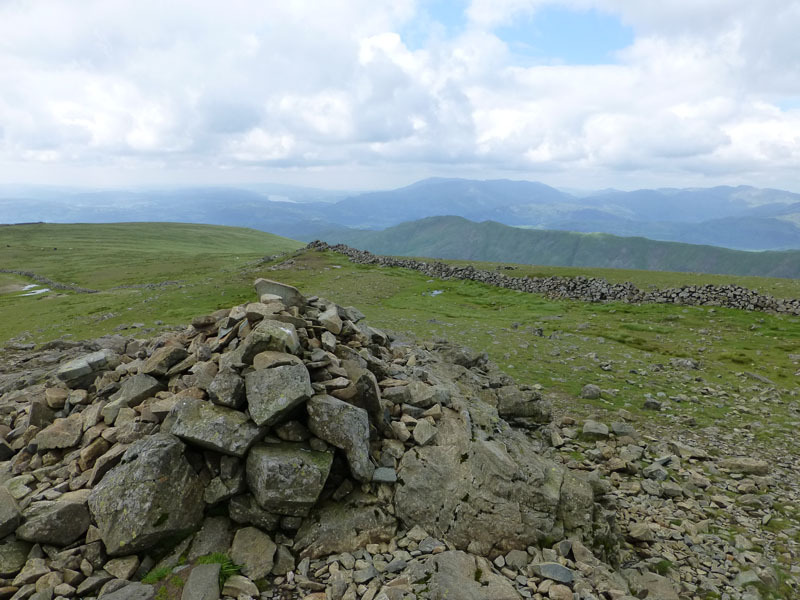 Generally warm, cooling breezes on the exposed summits. 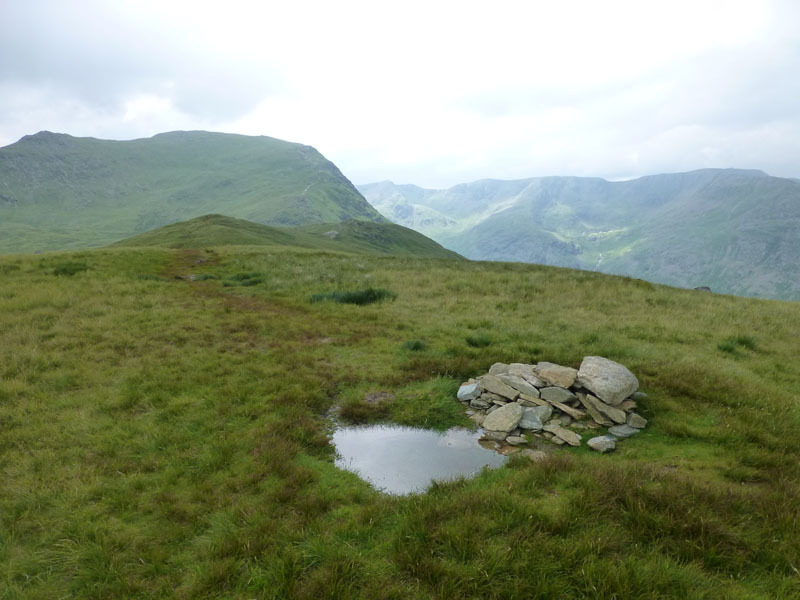 Greetings Count: Nobody until the Fairfield Horseshoe. Everyone was pleased not to be wearing waterproofs! Richard's Refreshment Review: Daytrippers like me tend to set off quite early and I often feel a bit peckish before walking. 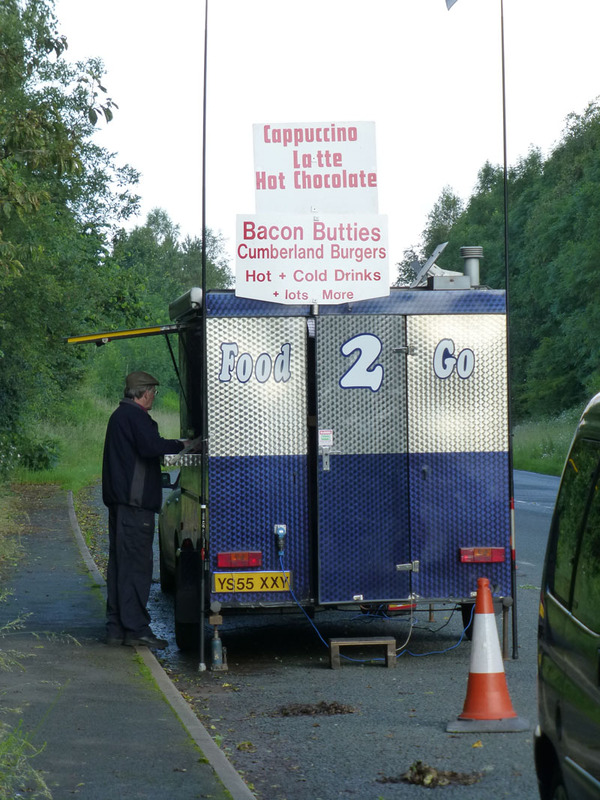 So, I thought I'd try a lay-by refreshment facility for pre-walk sustenance. 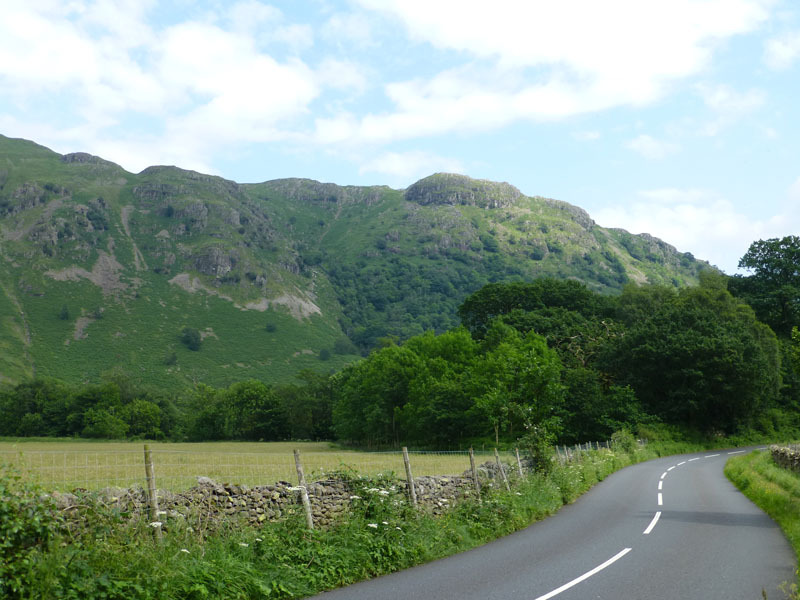 Food 2 Go at Staveley on the A591 is very good and offers a range of "breakfast" food at sensible prices. Generally open from 7am.